It’s done. 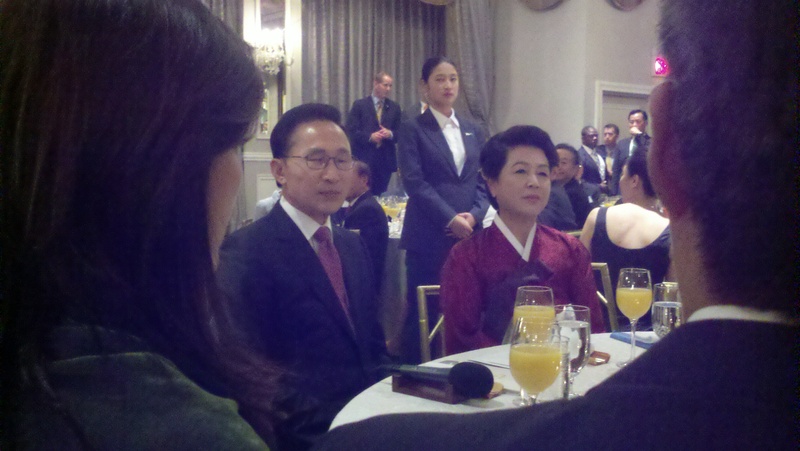 Proof positive that I was in the room with the President of South Korea and the First Lady. It went nearly as great as I had hoped. Will post the video of speech soon too. The Presdient gave remarks afterwards, but it is all in Korean and I need to get that all translated first. 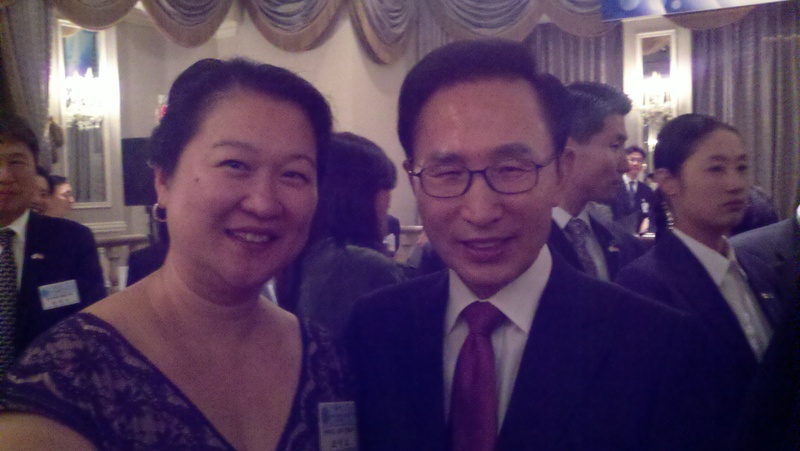 It was a great evening for me, for my fellow adoptees in the room and what I hope is something new for the 400 Korean people sitting in the room who heard my voice. I was a minute and a half over my three minute limit but I was neither given any time warning nor told to stop talking. I got it all said and looked up to grown men with tears in their eyes and a resounding applause. I am pretty sure it had more to do with my attempt at speaking Korean. I hope the President heard my heart. This is so touching! But also: what a historic moment. truly was. just called Korea to see if my birthmom saw it, but she has not seen anything about it. so far, Korea Times, Chosun Ilbo and JoongAh Ilbo have been covering the story, but I guess it is only in American papers.